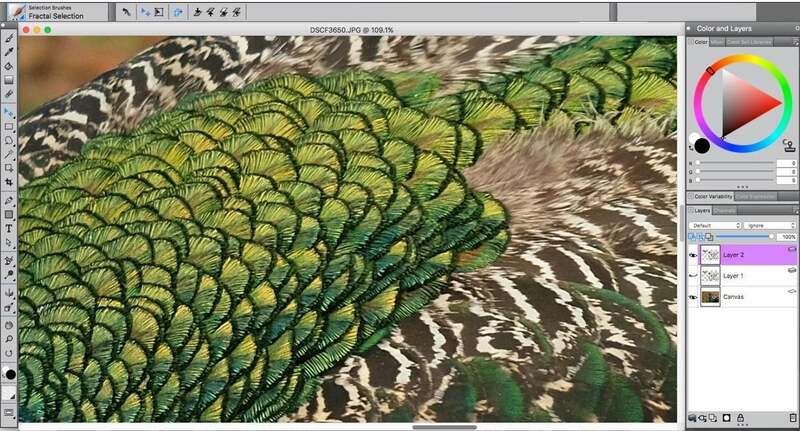 Artists of every stripe—fine art, comic art, photo art—rely on Corel Painter to create original works, as its natural media methodology uses tech to mimic paint on canvas. As with many mature products, it’s hard to fathom improvements in historical software that’s already so deep and complete. 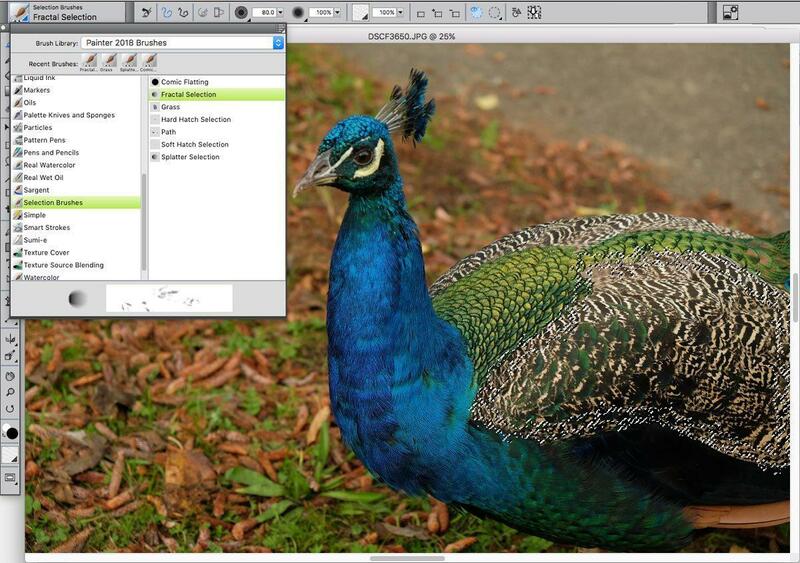 But each year Corel tries, and with Painter 2018 ($429, available on Amazon; $229 upgrade, available on Amazon; $99 Education Edition available on Amazon), it has managed to add significant enhancements and new features to the roster—Thick Paint, enhanced Cloning, and 2.5D texture brushes. Improved drip and liquid brush technologies let you paint on an empty layer and then blend with underlying brushstrokes. 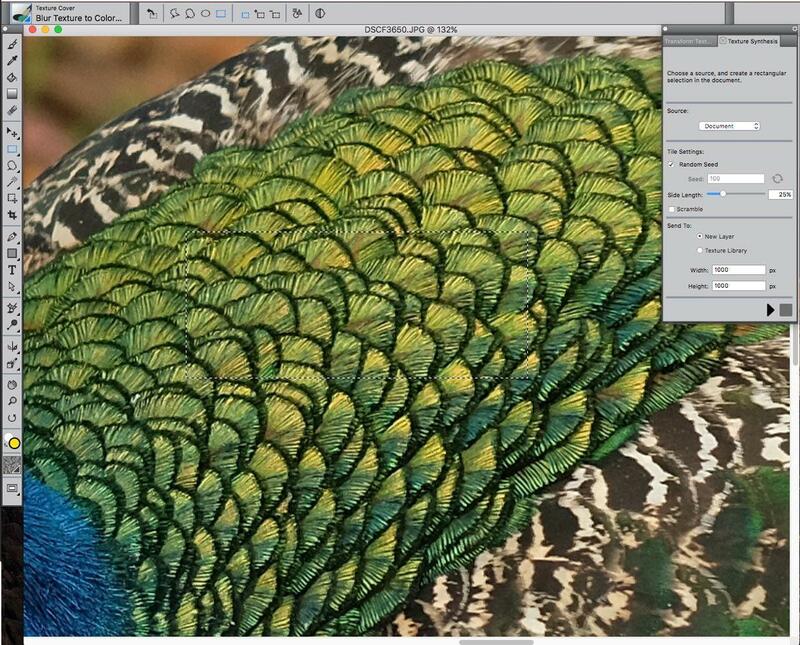 From its better photo art and composite capabilities, new clone-source options, updated interface, and distinctive texture synthesis, Painter 2018 expands and intensifies artistic potential for almost all users. While you can use Painter with a mouse, most digital artists are creating with a pen tablet (like ones from Wacom) to achieve the natural look and feel of pressure sensitive tilt and rotation brush strokes. That functionality especially benefits Painter’s new headliner Thick Paint brushes, which offer the visceral sensibility of loading thick oil and other paints onto a canvas and arranging or mixing them with bristle brushes and palette knives—or piling on the paint so you can scrape it off. The brushes deliver smooth, satisfyingly deep, thick strokes with varying color and volume that encourage experimentation with shadows, lighting, and transparency. This gives the aura of real brushes on canvas or painting in a sun-filled studio or in the middle of a lush landscape. The new Thick Paint brush delivers loaded brush smears on all kinds of papers. 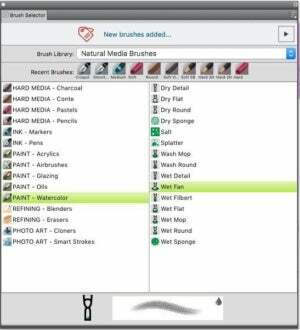 A choice of paper textures lets you immediately view brush effects on your painting and adjust the amount of paint loaded onto a brush. 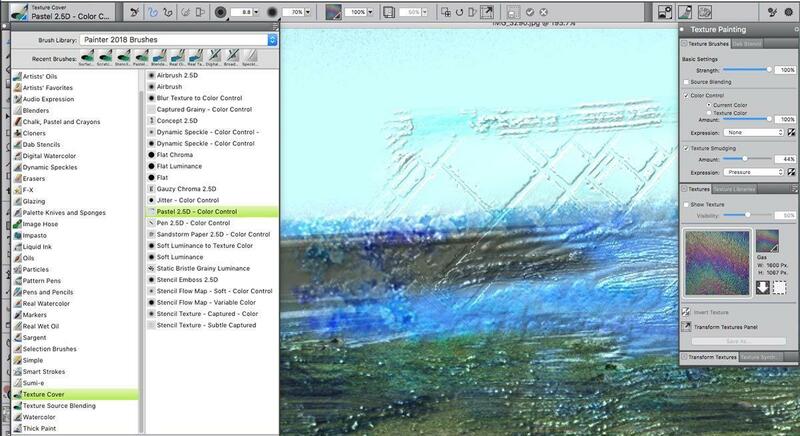 A Bleed setting lets you easily smear and blend colors around the canvas. 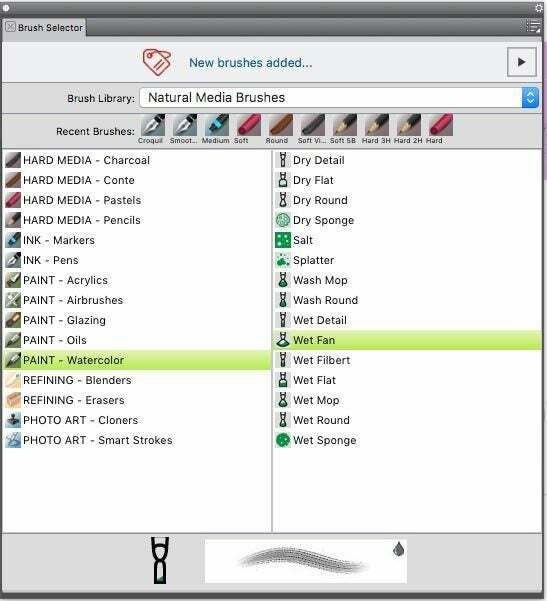 A new pulldown menu lets you choose a specific painting technique like Thick, Dry, Soft, and Thin to vary how the brush interacts with the canvas. The new Technique button loads four kinds of brush thickness presets for additional control over how much paper texture to reveal. While the previous version of Painter featured texture painting, Painter 2018 tweaks the feature to include even more dynamic Texture or 2.5D brushes in the Texture Cover and Texture Source Blending brush categories. 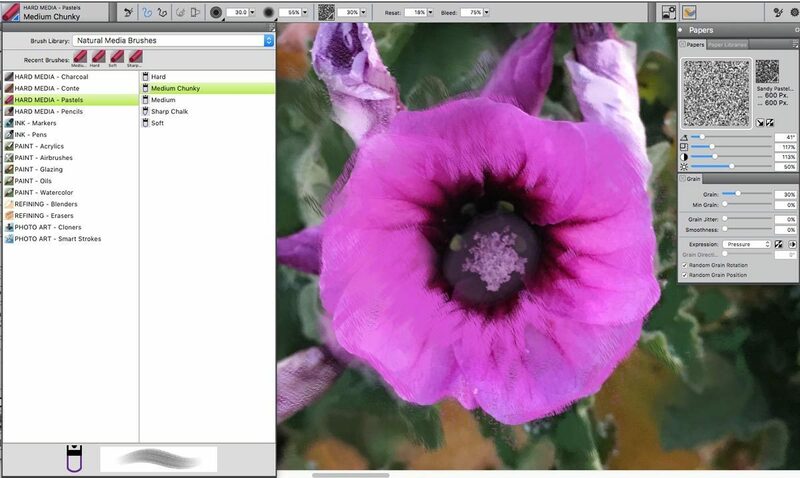 Painter’s 2.5D brushes can apply textures, scales, cracks, and other imperfections to a surface. Artists can enhance additional visual interest with directional lighting. Painting with 2.5D texture brushes builds up textures on the painted canvas. Adjust the surface lighting of your painting to get unique 3D looks. Working with textures on a 2D render of a 3D figure. 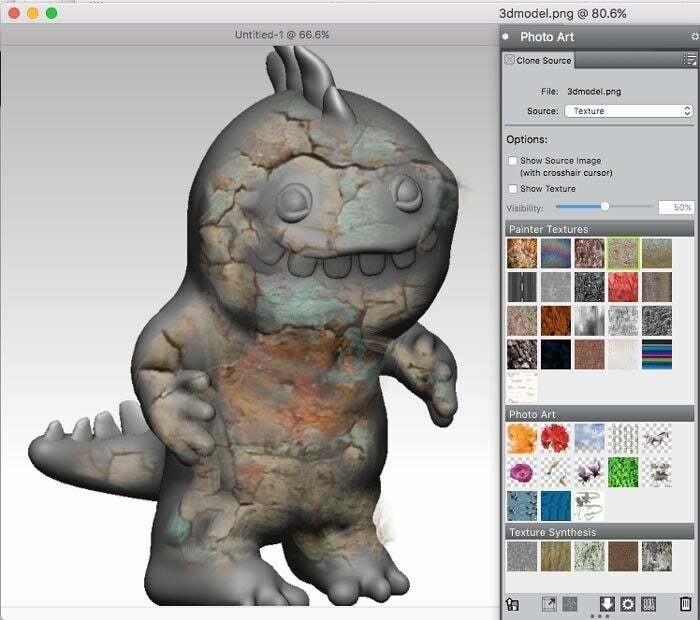 Art creation often involves applying textures and surfaces to characters or environments, and Painter 2018 lets you custom design your own textures from just about any photo or art piece. Start with a small sample of an interesting visual and synthesize it to a larger scale. The texture synthesis process randomizes characteristics of the selected area, letting you create a new pattern. Choose a pattern to turn into a texture. Generate a texture that you can save and reuse. 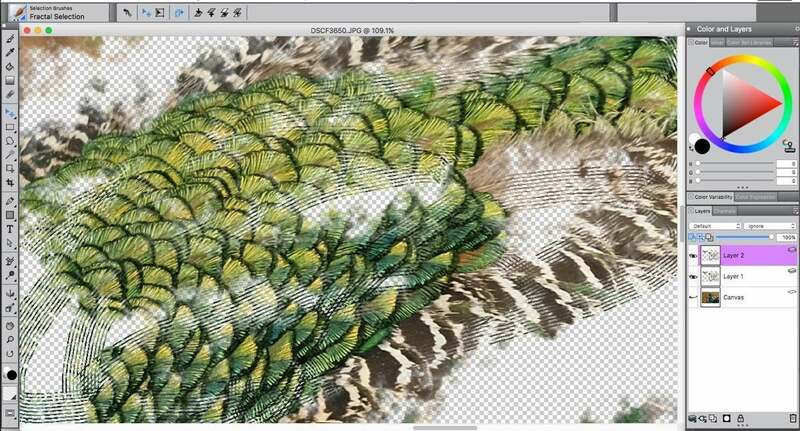 Generate a new texture from a small part of a photo. 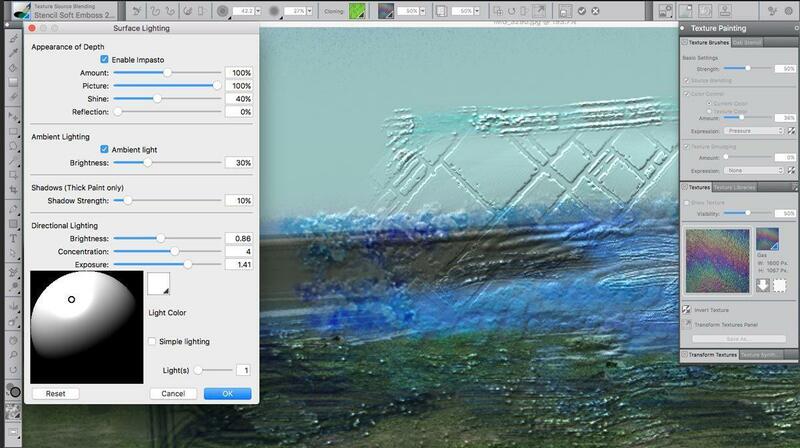 You can output your new texture to a separate layer or save it in your texture library. Prepare to take some time to generate a usable texture, especially one that doesn’t look tiled or canned. 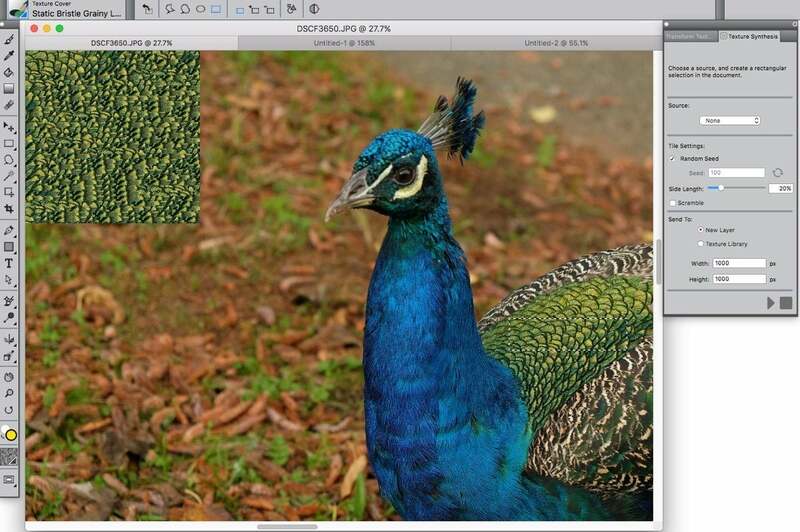 The synthesized texture can then be used just like any other texture or exported to a layer. 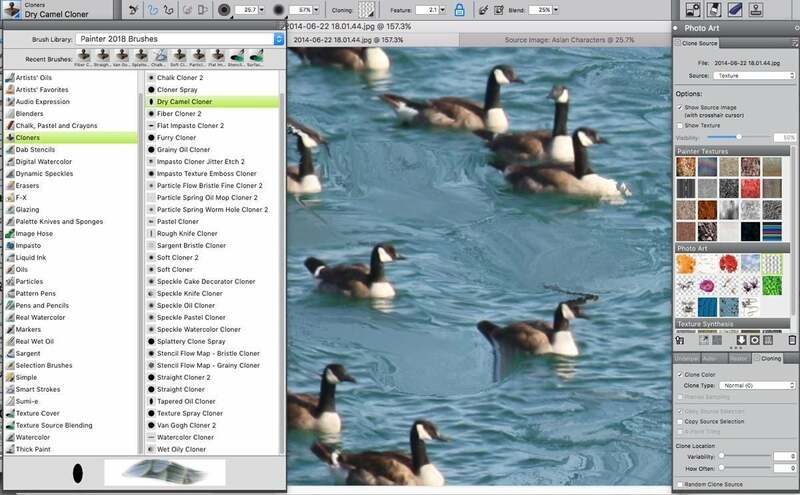 The new Painter enhances cloning support and now lets you use transparent and semi-transparent clone sources or textures to create collages or photo art. 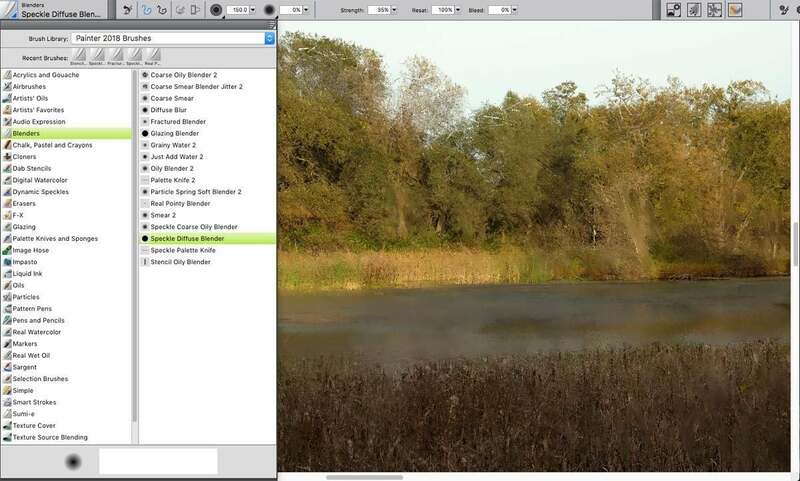 You can transform or reuse a texture clone source, or save an embedded source in an image, your texture library, or embedded inside a document to retrieve or share later. 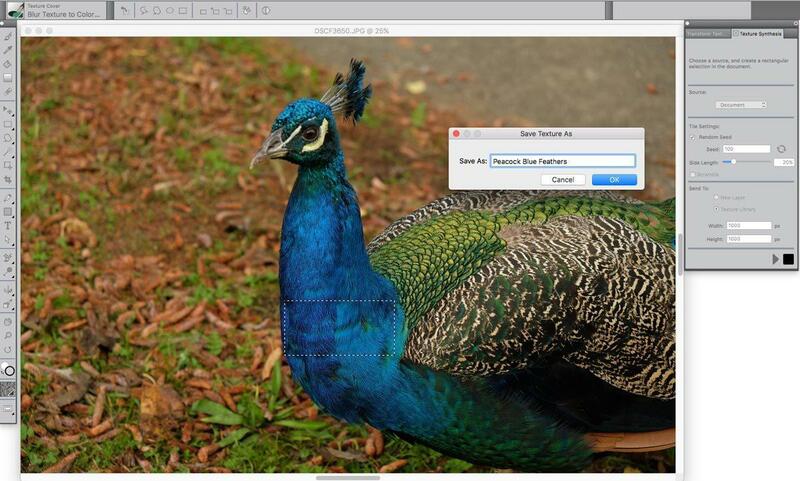 Interface improvements give you easy access to cloning controls directly from the property bar. Using textures as a clone source. 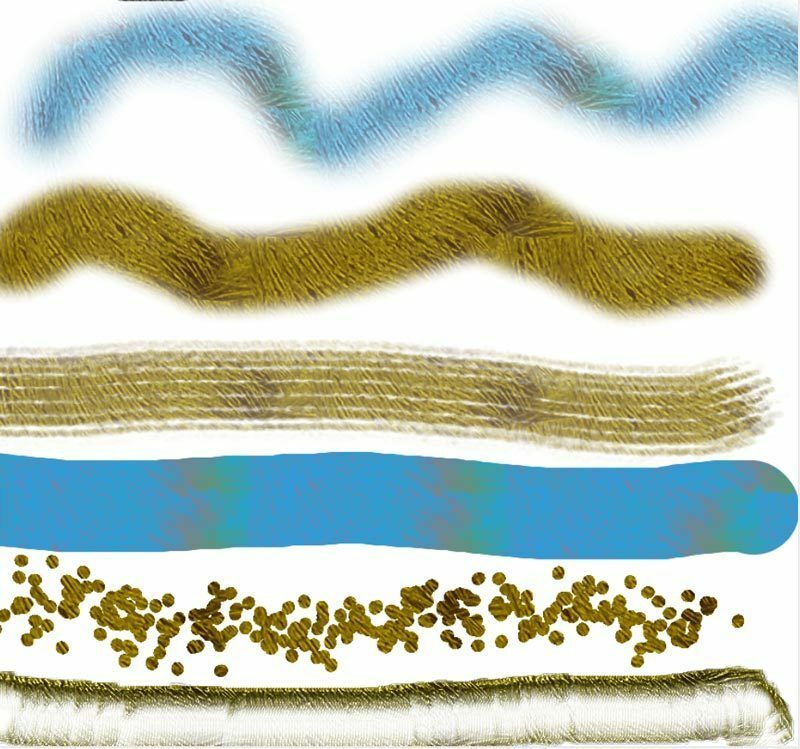 This genre of brushes lets you paint a selection that includes both shape and transparency. A color overlay lets you see where you painted your selection, letting you easily add or subtract from it. This is especially helpful for watercolors, where you can use selections like masks to prevent color spread. Any stamp-based brush can be used as a selection tool, to mask discrete areas, or paint over or fill with a gradient. Once you select and customize a brush, you can save and reuse it. 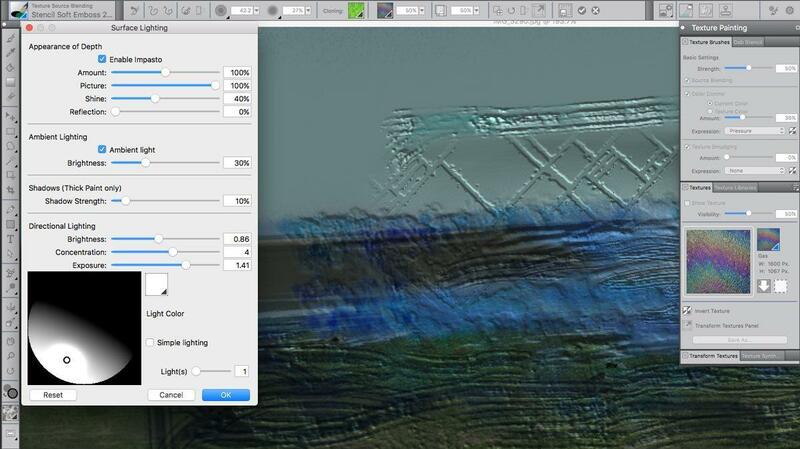 You can even edit and apply transformations to the texture. Save the selection to a new layer. Painter already had popular brushes featuring its drip and liquid technologies, which make strokes look and feel watery. 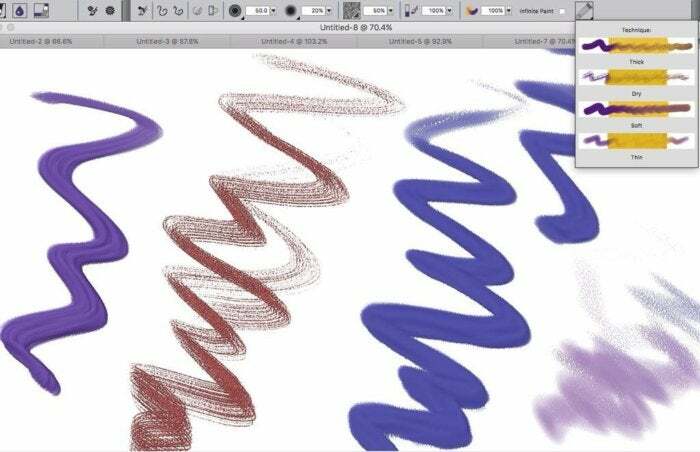 This new version adds more variety to brushes, and for the first time lets you paint on an empty layer and blend with underlying brushstrokes. This imparts increased depth and variety to your paintings and supports Painter’s other natural-media features. Painting with liquid and drip blender brushes. Nothing screams pixel automation like uniformity, and in a painting that is rarely a good thing. 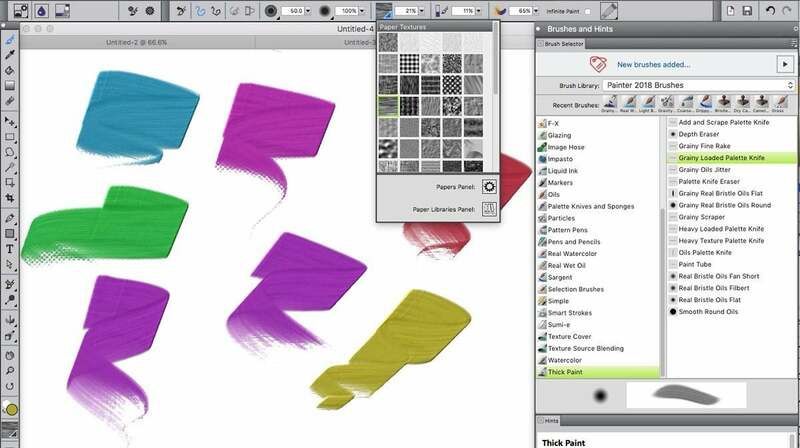 Painter 2018 offers improvements to its grain technology that boosts both brush and paper randomization. The new Random Grain Rotation and Random Grain Position options vary the paper grain a wee tad with each stroke, making your brushstrokes look more random. The Random Grain Rotation and Random Grain Position checkboxes provide an easy way to make your paintings look more natural. After choosing a grainy brush, just enable random grain rotation and/or grain position, and Painter will rotate the grain in each individual stroke to achieve a more natural look. The settings can be applied to any brush with a grain setting. No additional skill is needed to perform this operation, but this feature will boost the quality of any artwork more easily than artists could do in the past. If you’re a traditional painter entering unfamiliar digital terrain, Painter 2018 aims to ease that transition with a new brush collection designed to make you feel more at home. The app gathers an assortment of popular brush types and variations used in real world drawing and painting into this 96-brush library, including brushes that mimic traditional hard, ink, and paint media—pencils, pastels, oils, acrylics, and charcoal. 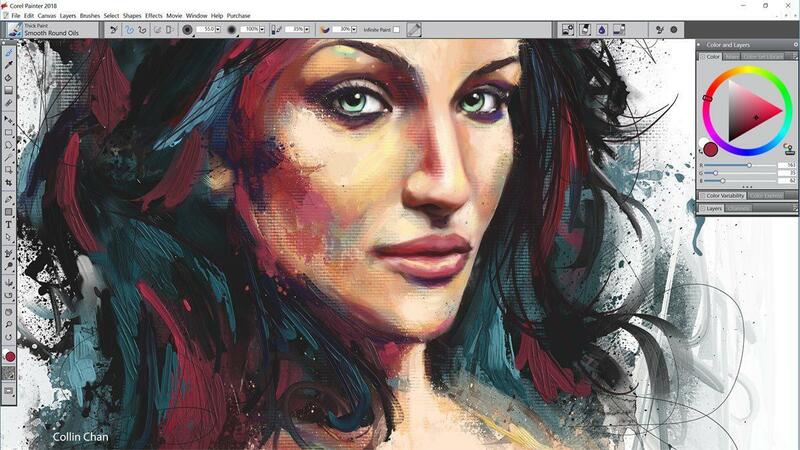 Painter 2018 is a rich upgrade to an already established product and I recommend it to users of all versions. The Thick Paint feature and improvements to the liquid and drip technologies are especially welcome. However, if those features don’t get you pumped, then you may be just as happy waiting for the next upgrade, especially if you already have a fairly recent version of Painter.